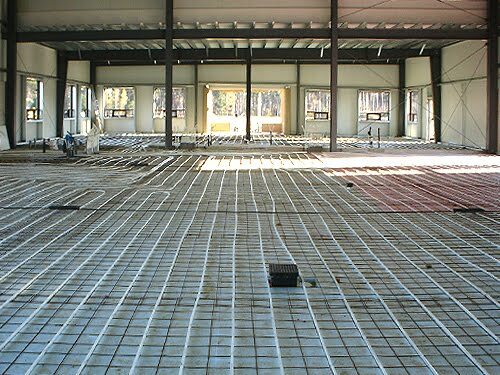 Hydronic heating is the most efficient and versatile type of building heat there is on the market today. Along with this, of course comes extreme complexity. A poorly designed or installed system will give never ending grief and headache. We have decades of experience in unique boiler installations. If you have a hot water heating need then the chances are that we have already done it. With hot water heating, experience and ingenuity is what is takes to have an effective system and we have both. If your application does not require ultra high efficiency or budgeting just doesn't allow for it, we can accommodate your needs. We carry Allied Super Hot boilers and Weil McLain, which are affordable, yet solidly built steel tube and cast iron boilers. Simple, effective design grants these boilers a large share in the commercial and residential mid-efficient markets. Because of this simplicity they can offer decades of practically maintenance free service. We work hand in hand with engineers to accommodate all your design and build applications. Bring your requirements to us and we can provide you with the registered drawings you require to make your vision a reality. We offer experience in all major North American distributors of ultra-high, high and mid efficient boilers and boiler systems. Giving you the peace of mind that your system, no matter the brand, will operate correctly and at its designed efficiency. No matter the application give contact us to discuss how we can help you attain your hydronic heating goals.